There are 3 cat videos tagged with jaguar. 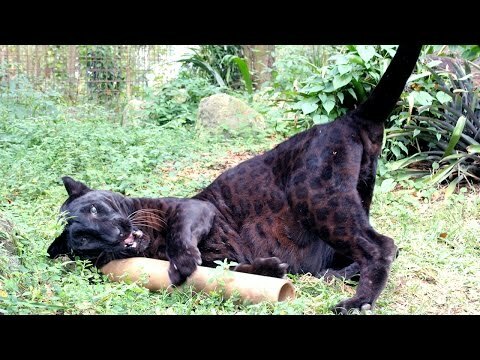 Playing rough and tumble with a jaguar would leave most thinking this dog's chance of survival is slim. 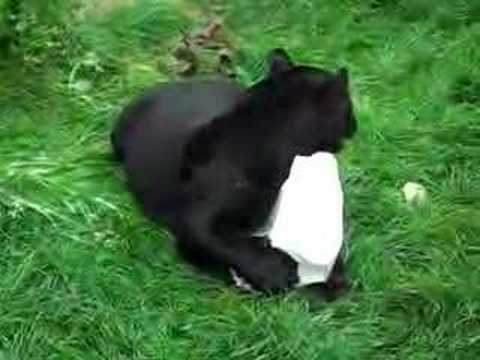 But the unlikely dog and big cat pairing are best of friends - playing, sleeping and even eating together 24 hours a day. 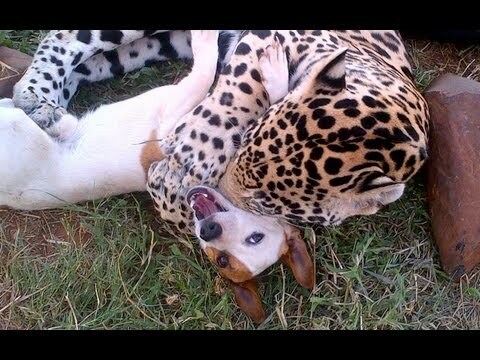 Bullet the Jack Russell dog became pals with the jaguar, fondly known as 'Jag', after he was moved to the Akwaaba Lodge in South Africa.